New York is America’s largest city with a metropolitan area of over twenty million residents. Even in this enormous metropolitan area, you can still get outdoors. 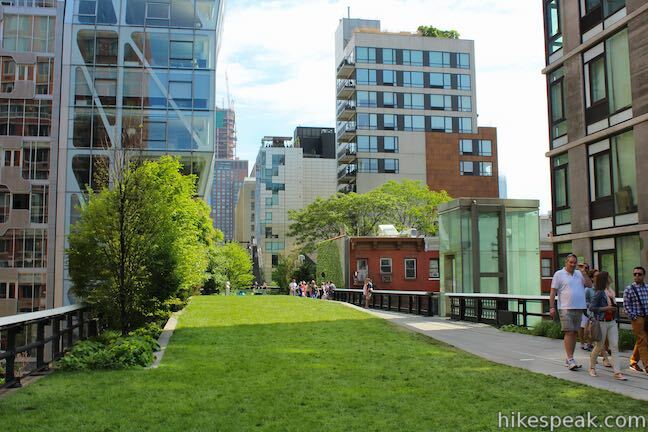 Find nature right in Manhattan on the High Line Trail, an aerial greenway built on an old freight rail line. This elevated stroll of up to 3 miles round trip explores a one-of-a-kind park built on a historic rail line with gardens, artwork, seating, and lofty city views. The smart people who shaped Binghamton University knew that deep-rooted oaks can teach us more than ivory towers. With the good foresight, the SUNY Binghamton campus set aside 182 acres of wetlands and woodlands for the benefit of students, faculty, and the community. On a first visit to Binghamton University Nature Preserve, Pond Trail and Marsh Trail are recommended routes for... Read more. Some centers of higher learning probably overlook nature's value in education, but not Binghamton University. This SUNY Institution in Vestal, New York set aside 182 acres for the benefit of students, faculty, and the community. Several intersecting trails explore Binghamton University Nature Preserve, creating numerous hiking options, like this one — a figure-eight loop on the easiest... Read more. We can learn a lot from nature, which is probably why Binghamton University, a SUNY Institution in Vestal, New York had the foresight to preserve a 182-acre natural space right on its campus. Binghamton University Nature Preserve has hillsides and valleys full of forests and marshes with lots of interconnected trails open to the students and the public. For a quick mile-long escape, get to... Read more.